Going on a cruise, improving golf technique and playing on the most beautiful courses in Europe: This is Golf & Cruise with Hapag-Lloyd Cruise. 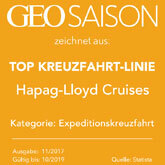 On a cruises aboard Hapag-Lloyd Cruises' expedition ships - HANSEATIC and BREMEN - guests will become true pioneers and explore destinations in the polar regions as well as exotic waters. The Ocean Sun Festival is Hapag-Lloyd Cruises' music highlight: Every year, the luxury cruise ship EUROPA welcomes classical music stars. In the Culinary School on board EUROPA 2 interested guests learn about the cuisine they will discover at individual destinations. The EUROPA 2 has become the first cruise ship in the world to be awarded independent EEDI certification by Germanischer Lloyd as part of an official handover. The positive result of the assessment is testament to the luxury vessel's energy efficiency, which was achieved by using the latest technical standards and a hydrodynamic hull. 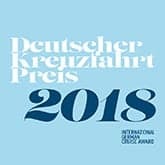 Their small size means that the BREMEN and HANSEATIC cruise ships can travel a particularly long way upstream, giving their passengers first-hand experience of the wonders of the Amazon on board and during extensive Zodiac rides. 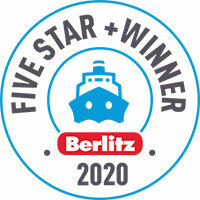 MS EUROPA of Hapag-Lloyd Cruises underwent a comprehensive redesign during its regular docking period in Hamburg. The entertainment programme on board the modern and casual luxury ship EUROPA 2 continues to offer new innovations for guests. On board the EUROPA 2, there are a total of 890 different art works in the public areas and suites to explore. The EUROPA 2 offers a wide variety of sport and spa facilities on board, with state-of-the-art fitness equipment, numerous courses, four saunas and a wide range of treatments. For wine connoisseurs and epicures, EUROPA 2 features a really special culinary opportunity on board. On Friday 26 April 2013 at a formal ceremony, Hapag-Lloyd Cruises has taken delivery of the modern and casual luxury ship EUROPA 2 from the STX France shipyard in Saint-Nazaire. 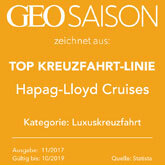 Guests on board Hapag-Lloyd Cruises' EUROPA 2 will experience top-class culinary variety from when she first sets sail for her maiden voyage from Hamburg to Lisbon on 11 May 2013. 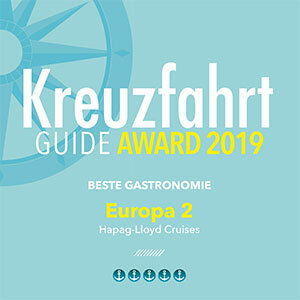 Hapag-Lloyd Cruises' exclusive new ship, EUROPA 2, currently reaching its completion at the STX France shipyard in Saint-Nazaire, offers an entertainment programme that is second to none. 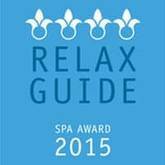 On the evening of 9 June 2013 stars will not only rise above the night sky of Antwerp, but also culinary stars will rise to the occasion at the annual gourmet event "EUROPA's Best".